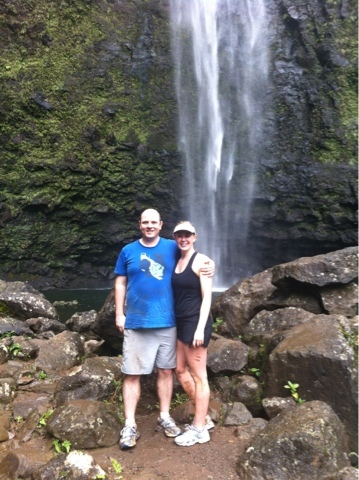 We had a blast hiking 8 miles round trip to a secluded waterfall that I can't spell. Let's just say I was feeling pretty macho during pouring rainstorms, mini mudslides, and narrow cliff paths. Did I mention we didn't bring food and did it in tennis shoes?